groupon- NOW!, a photo by unglaubliche caitlin on Flickr. what a great day to have a half day! groupon's launching groupon now today and to celebrate all now groupons are only $1! i bought 5 of them! and one happened to be my favorite sandwich shop. 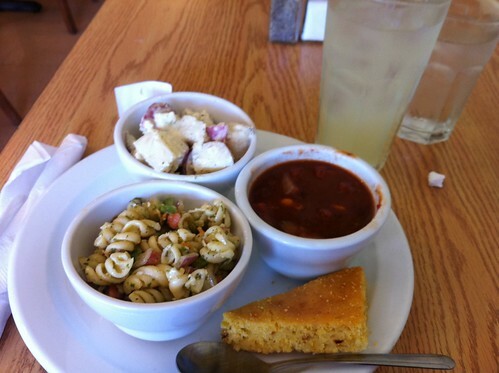 look at all the yummy salads and veggie chili and lemonade i got for $1! yay!